I had thought about moving north this week for some hiking, however my yoga love won out. So that’s what this week has been all about yoga. There are many yoga studios here with some really fantastic teachers so I have been moving around trying out different styles and classes. Teacher training is on offer too, but that might be for another time. One place here deserves a special mention, The Yoga Forest. 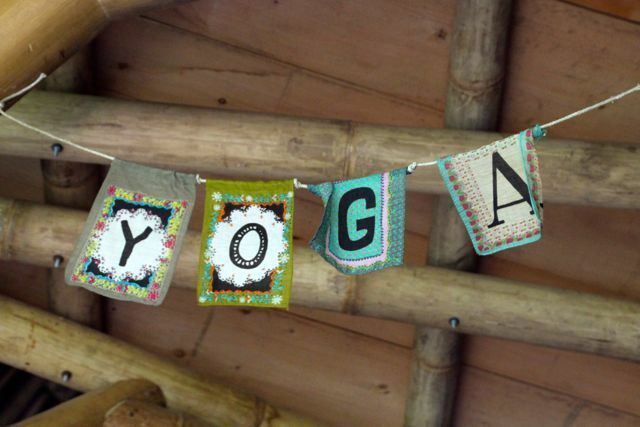 It’s exactly as the name promises, yoga in the forest. Accessed by a short trail, which is marked by painted rocks, you climb away from town into the trees and hills. Sure beats driving in traffic after work to a class and looking for the elusive parking spot. This place is the ultimate in practicing in nature. In this case you are already feeling good just on the way there. Impossible not to enjoy a practice here. Even the bathroom has views, check it out! It’s all too easy to stay here a long time, there’s always something good to do or learn. Some day maybe 🙂 I’ll have to get a job soon myself! The yoga Forrest, looks and sounds awesome!! It is! Check it out if you get the chance, there are accommodation options there too for retreats/short stays etc or drop in classes are also available.